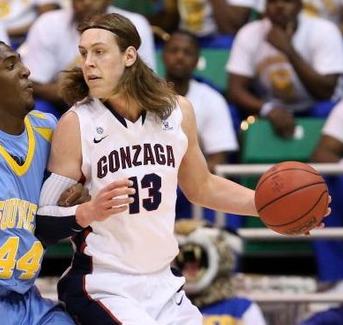 There may not be a more efficient player in the country than Olynyk. The 6,11 power forward shoots better than 63% from the field and 78% from the charity stripe. After sitting out a year in 2011/12 Olynyk burst onto the scene this year and is rising up draft boards. He averaged 18 points and 7 boards per game. He has really good quickness in the open court and a very high skill level. Fundamentally sound on defense and lethal on offense. An intriguing prospect who has as much upside as any player in this draft. Has a great combination of size and athleticism. At 6,9 he can go end to end, grabbing a rebound on one end and taking it to the rim on the other. Has a great handle for a young 6,9 player and elite level quickness and athleticism. Projects as an elite defender at the NBA level. Caldwell-Pope had a strong finish to the season and is showing a lot of NBA skills. Can really fill it up from downtown and has improved his rebounding and defending. Has the size and strength you look for in an NBA shooting guard and a deadly jump shot.